Its no secret that powerful companies like Flipkart, Amazon, HDFC Bank, Barclays, and Vodafone have killer Business Analytics teams behind them. Their Business Analytics teams can put together solid Analytics solutions to boost the businesses to the next level. 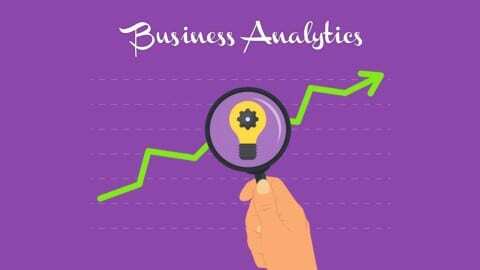 If you still don’t know much about Business Analytics, then this is the chance for you to get started with a detailed course designed from beginner’s perspective. Use the discount code AIM when you sign up, and you’ll receive Vipul’s course for only $79 instead of regular $199. That’s a whopping 60% off! Sign up here to get started ! This shall be your chance to get in the Business Analytics circle. But, the offer is only available for first 25 students who use the discount code. This really is online education at its best: the content is comprehensive, well-structured, and demonstrates working on industry use-cases. The instructor is likeable, funny, and uses interesting examples.